Looks brand new. Worth $400 with the base. Super comfortable - not too soft, not too firm. Comes with a black base that is pretty basic, but solid. Also comes with a protective cover that you can take if you would like (free). Non-smoking household. Never had any bedbug issues. Selling simply because I would like to upgrade to a queen-sized mattress for myself and my partner. 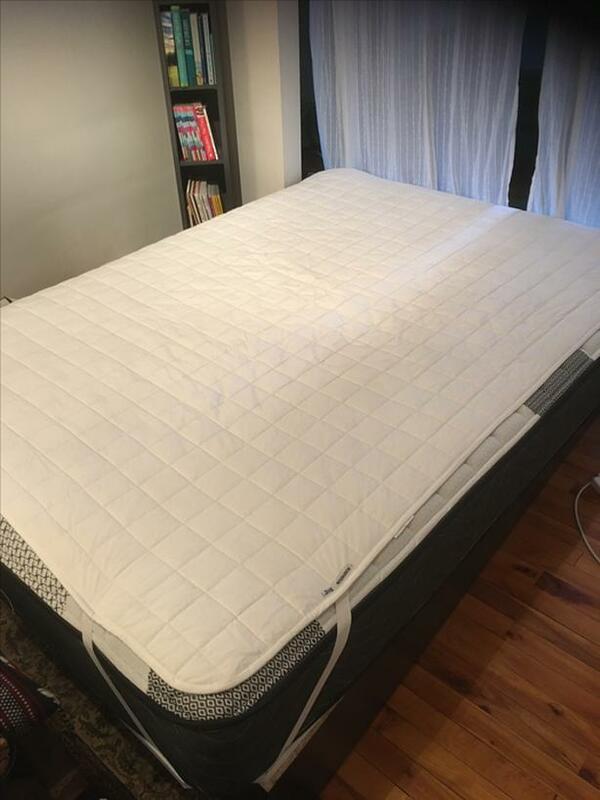 Would be willing to do a trade with someone with a similar quality queen-sized mattress that would like a double mattress instead!